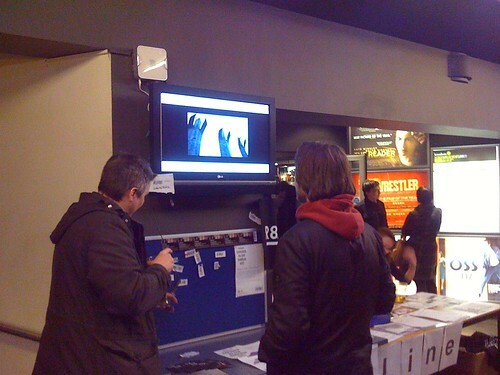 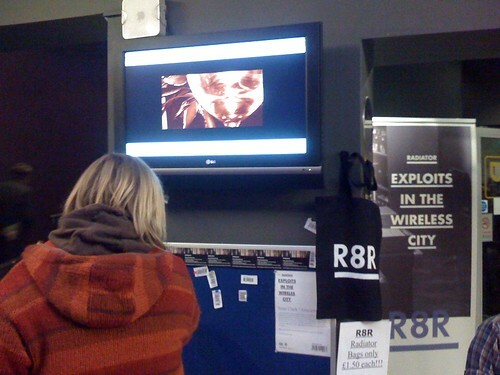 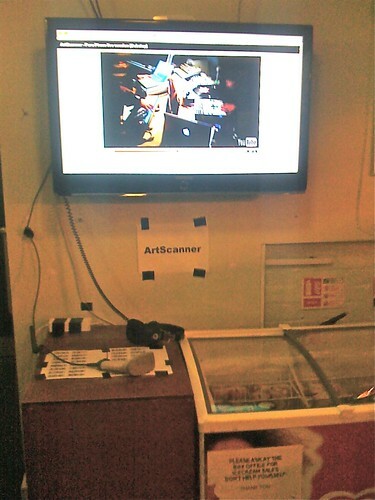 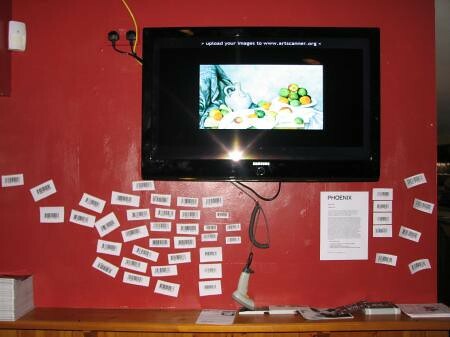 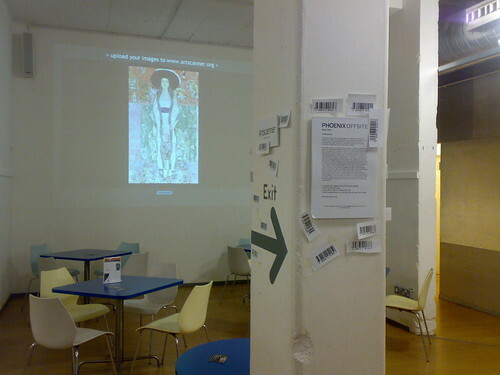 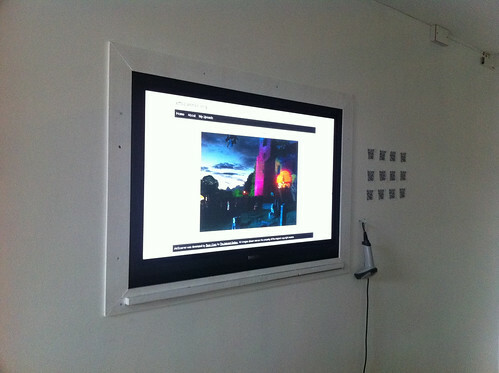 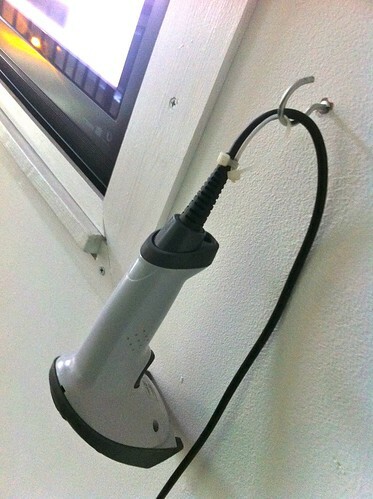 ArtScanner was first exhibited in The Depot, Leicester and Phoenix Arts, Leicester in 2008. 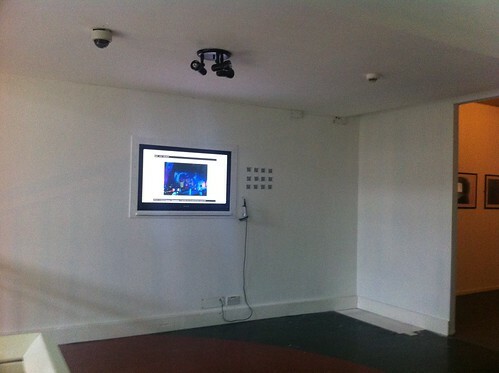 Other exhibitions have followed, but this is its first permanent installation. 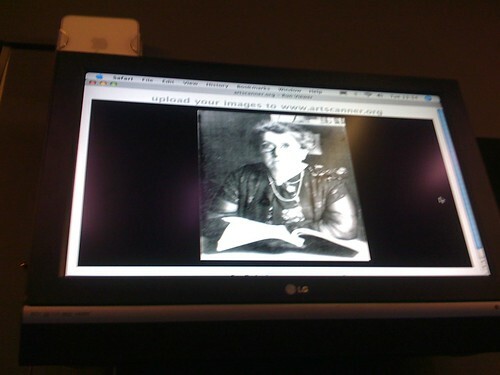 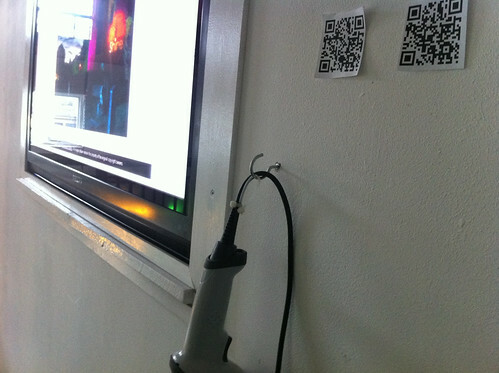 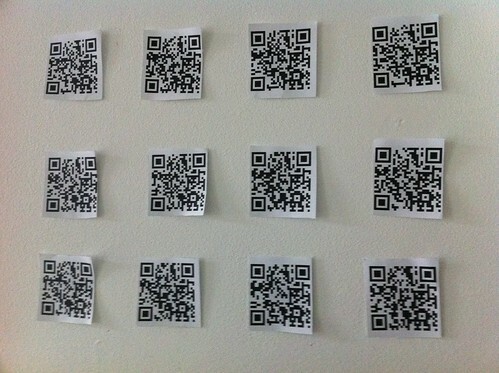 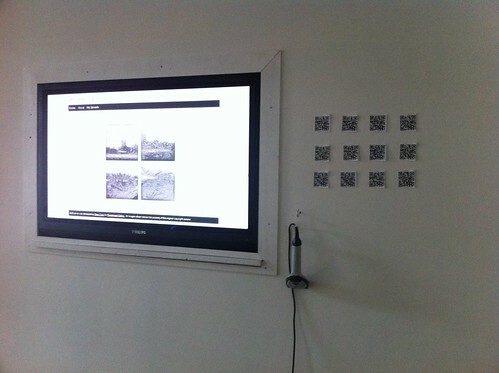 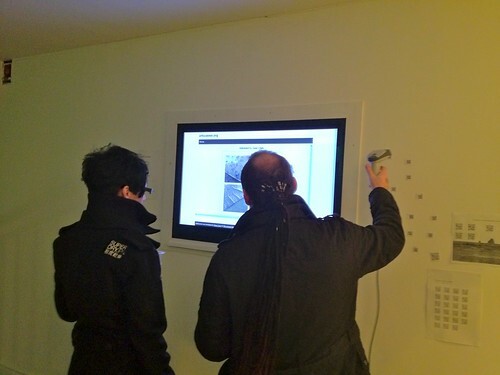 The system allows you to upload your own images via the ArtScanner website in exchange for QR barcodes. 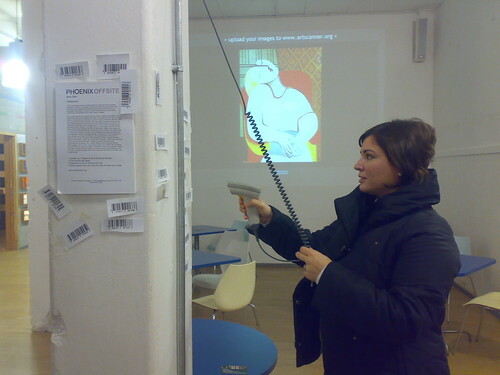 You can then place the barcodes next to the ArtScanner screen. 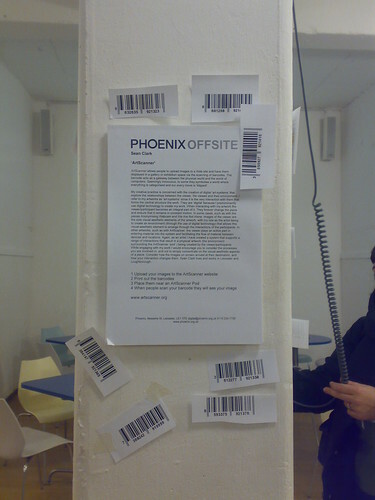 When your barcodes are scanned then your image will appear. 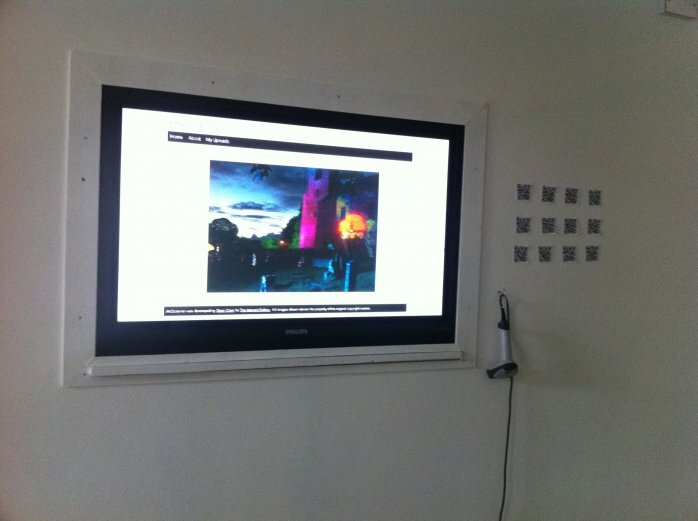 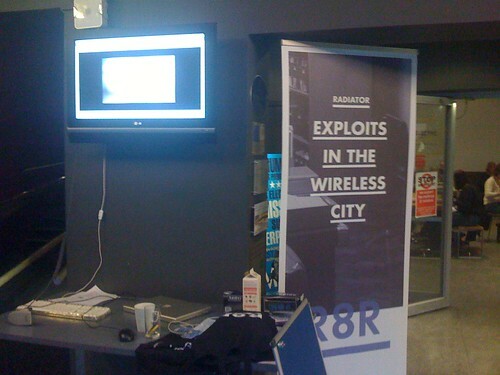 If you don't have access to the internet in order to upload your work then talk to the staff at Fabrika about using their computer to add your images to ArtScanner.